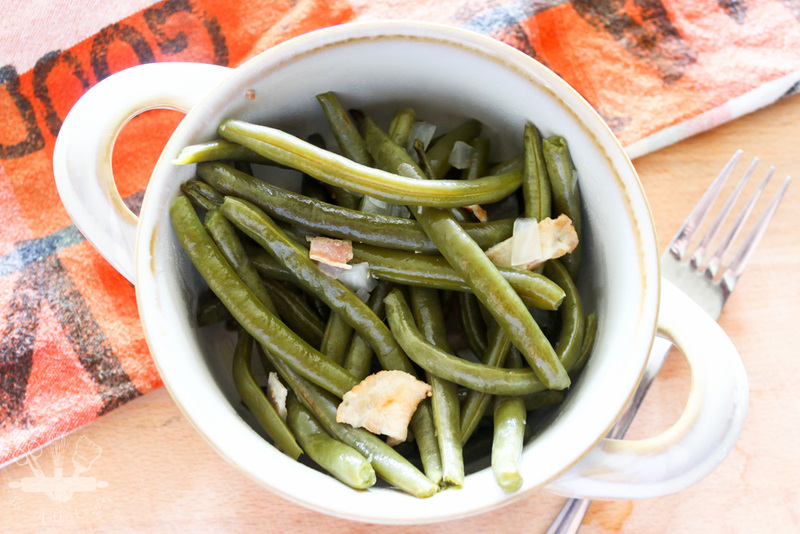 The BEST slow cooker green beans you’ll ever have! Loaded with onions and bacon, they are packed full of flavor and so easy to make. Just set them and forget them until dinner time! Growing up, my mom always grew a large vegetable garden that would feed us through the summer months. One of the vegetables we always had in large quantities was green beans. I have many memories as a kid sitting at the kitchen counter snapping beans. As a kid, I would beg my mom to make these Slow Cooker Green Beans, so it only seemed fitting that we made them while she was here for Easter. 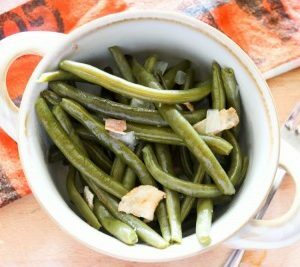 Slow Cooker Green Beans were the perfect pairing to our smoked pork roast that we slathered in the best ever Barbecue dry rub. Slow cooked all day with onion and bacon, this is hands down the best way to eat green beans. 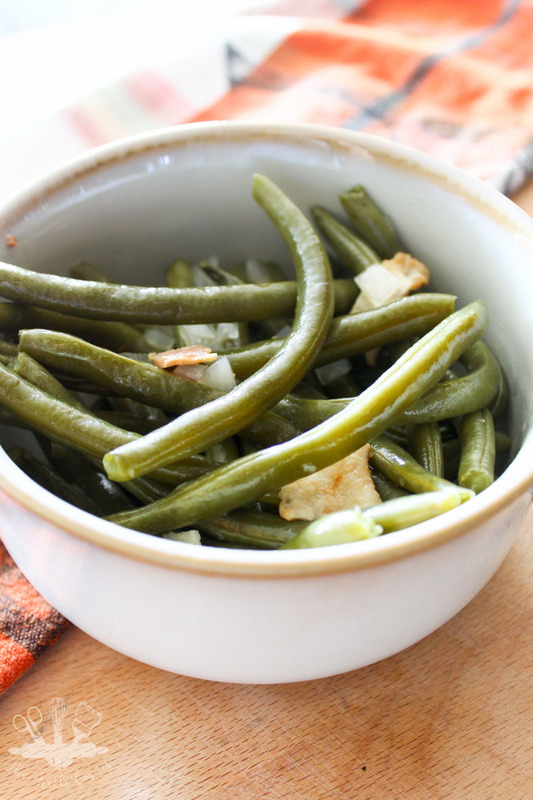 Slow cooked all day with onion and bacon, this is hands down the best way to eat green beans. Cook bacon until halfway done (also do this the night before if you wish) Once bacon is cooled, chop into small chunks. In the pot of a slow cooker, add in all ingredients and stir to combine. 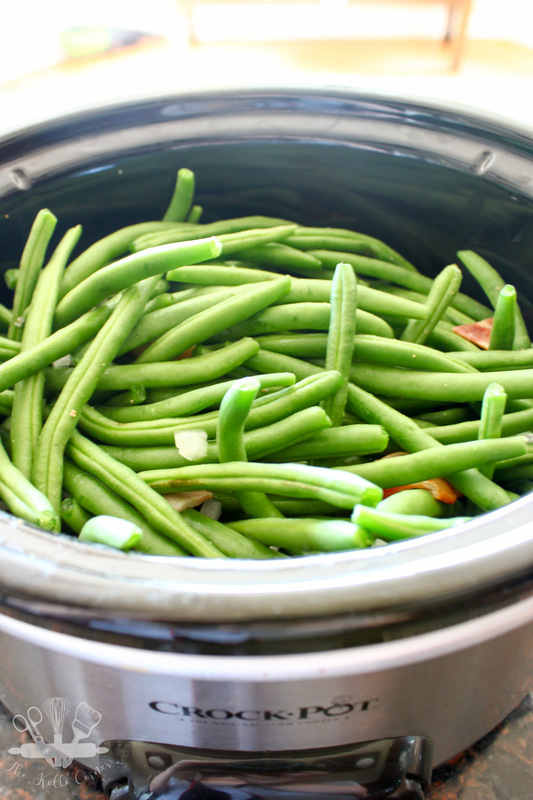 Depending on the size of the slow cooker, you may need to add more water to ensure beans are halfway covered. Replace lid and cook on low for 8-10 hours, or until beans reach tenderness desired. I like mine very soft, but others prefer theirs to be slightly crunchy.